At first glance, "All-Season" and "All-Weather" tire terminology might seem like a distinction without a difference. Especially for folks in northern states who experience four seasons, "All-Season" generally implies performance capability in a wide variety of temperatures, conditions, and weather. However, there are key differences between All-Weather Tires and All-Season Tires; these differences can mean strongly contrasting tire performance in certain weather/road conditions. Throughout large portions of Europe there are longstanding tire laws and regulations pursuant to wintertime travel. During winter months European vehicles must be equipped with tires that achieve high standards for winter traction. Specifically, tires must meet Severe Snow Traction performance requirements. As a result of European tire laws, 2 sets of tires per vehicle, and seasonal tire rotation has long been the norm. Winter Tires are fitted for November-April (exact dates vary by country & region), then Winter Tires are rotated for Summer Tires when Old Man Winter checks out. And now All-Weather Tires are making their way to the U.S., and being developed stateside. They are distinguished from standard American All-Season Tires due to the advanced wintertime traction characteristic and 3-Peak Mountain Snowflake qualification. 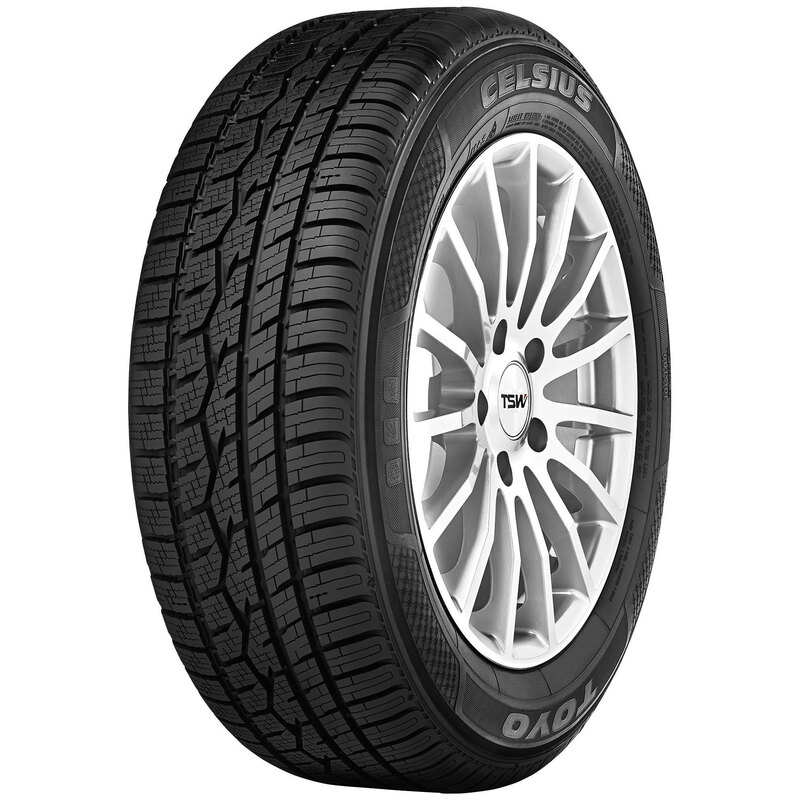 Examples of All-Weather Tires now available in the U.S. include the Toyo Celsius and BF Goodrich Advantage T/A Sport LT. Both of these tires meet Severe Snow Traction (3-Peak Mountain Snowflake) requirements while the vast majority of American All-Season Tires only qualify for the M+S (Mud+Snow) traction rating, which is a notably lower standard. 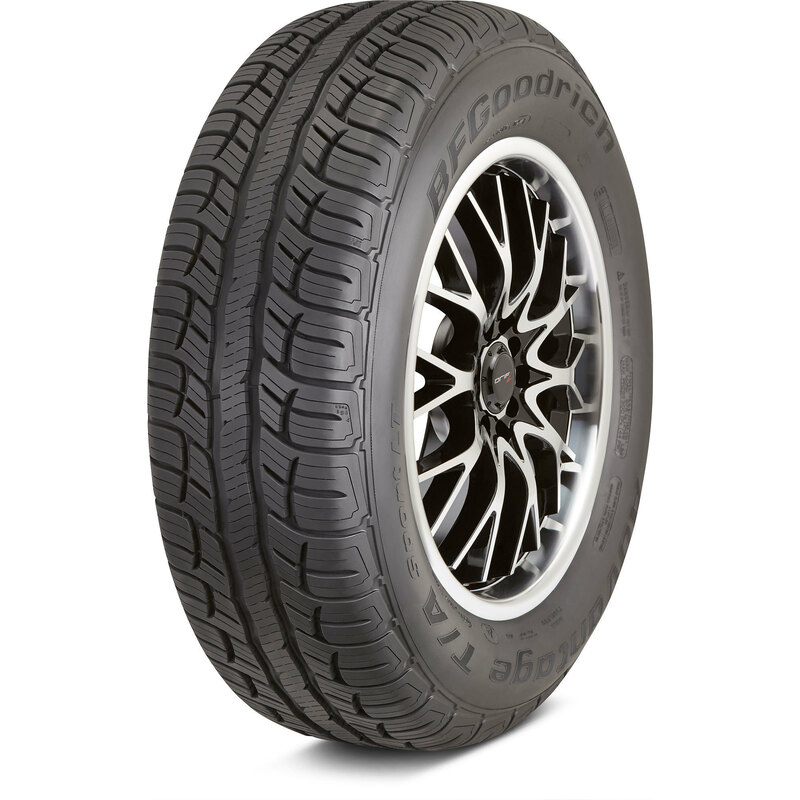 BF Goodrich claims that the Advantage T/A Sport LT delivers "Up to 30% better snow traction than leading (All-Season) competitors, exceeding RMA Severe Snow Traction performance requirements" (BFGoodrichTires.com). The Toyo Celsius, which Toyo has dubbed a "Variable-Conditions Tire,"… stops up to 14 feet shorter on snow (from 30 mph to 0) and eight feet shorter on ice (from 15 mph to 0) than a typical all-season tire" (ToyoTires.com). And so All-Weather Tires are engineered to deliver year-round performance on dry and wet roads, as well as the long wear (treadlife) characteristic of high quality All-Season Tires, but with near Winter Tire levels of traction through the winter months. So which type of tire is right for you - All-Season or All-Weather? If you require just one set of tires for year-round use, and experience true winter conditions on an annual basis, then All-Weather Tires are the likeliest fit because of their verified winter performance. If your winter involves just near-freezing temperatures and sporadic precipitation (generally unchallenging driving conditions), then choosing from the vast collection of excellent All-Season Tires is a perfectly fine approach. Looking for more guidance and want to discuss All-Season Tires vs All-Weather Tires? Give us a call at (866) 961-8668.